i love to read. people probably don't believe me because i always talk about not reading. i show up to book club and make jokes about not reading the book. if i had my way, i would read a lot more than i do now and still do all the other things i have and want to do. i rarely make the time to read so i am always excited for the opportunity to read. 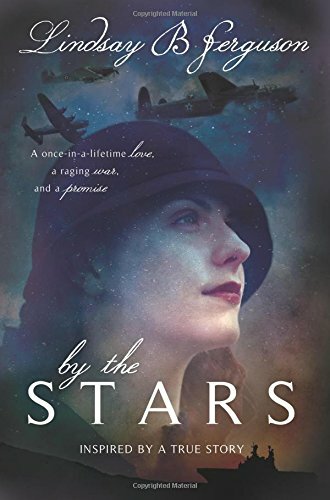 i recently had the change to review the new book from cedar fort publishing, by the stars. it took me a few chapters to get into the book, but once i got into it i couldn't put it down. the book is set in the world war II era. cal and kate have quite the love story. they meet in junior high and reconnect several years later. the book tells their story as cal leaves to serve in the war. i won't tell you what happens in the end. you'll have to read to find out. besides being a quick easy read, the other best thing about the book is how clean it is. i love reading a book that i don't have to be worried about what i am going to read on the next page. there is nothing too graphic or anything else uncomfortable. if you're looking for a quick, easy, clean read i definitely suggest by the stars. Thank you for sharing this with me. As always, I'll it to my to read list and sooner or later I'll work my way to it! I have book club next Wednesday and have yet to read the book for it. I need to get moving!